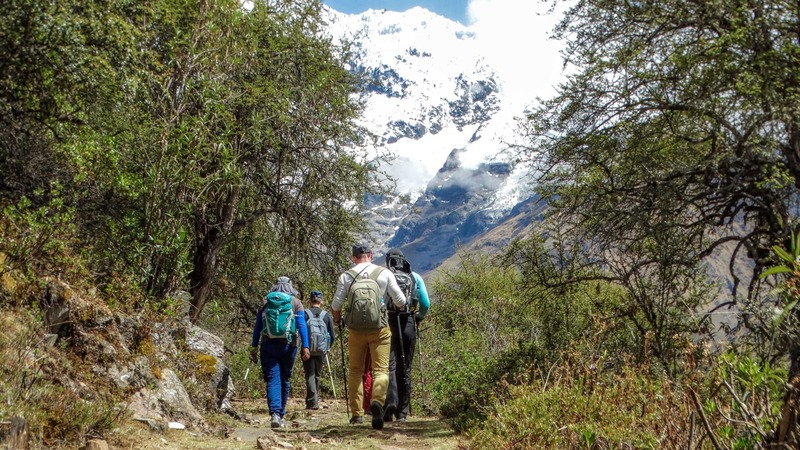 The Salkantay Trek is a new path for trekkers who are looking for more privacy and authenticity on their way to Machu Picchu. 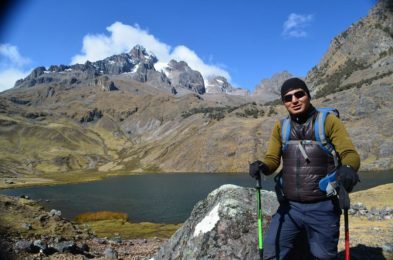 Adner is a local mountain leader who will lead this 5-day hiking program! There are many ways to get to the same place. That is the case of Machu Picchu and its several hiking trails built by the Incas in the past. 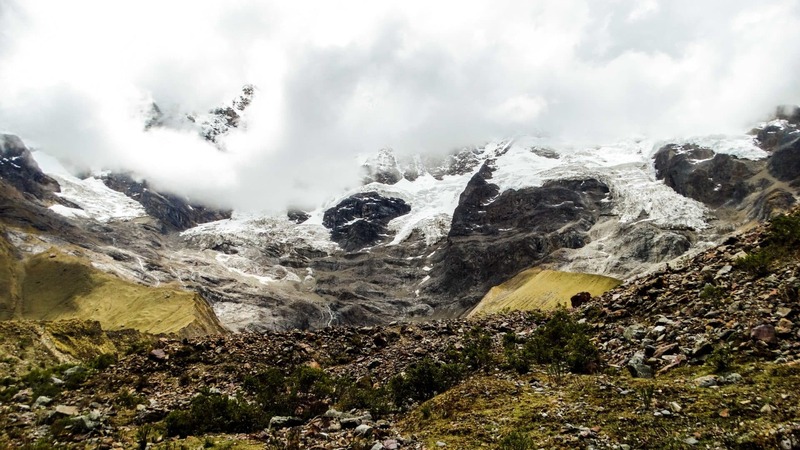 Salkantay is one of those alternatives. Furthermore, it’s a perfect option for those who love nature and the off the beaten tracks. 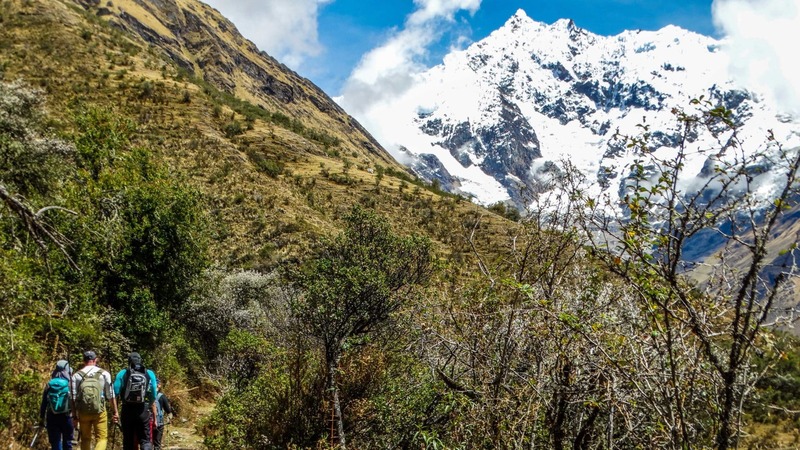 This 5-day trek across the Salkantay route towards Machu Picchu is a challenge full of spirituality and natural beauty. 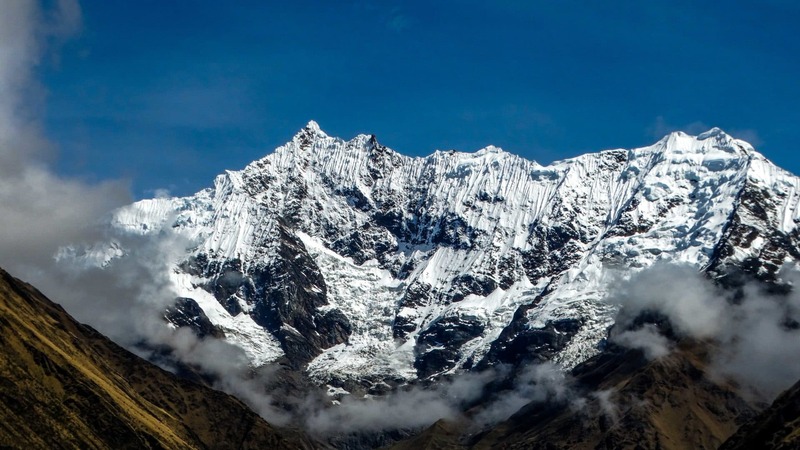 As you may know, the Salkantay is one of the traditional sacred mountains of the Vilcabamba. It lies in the south of Machu Picchu with 6271 meters of altitude. 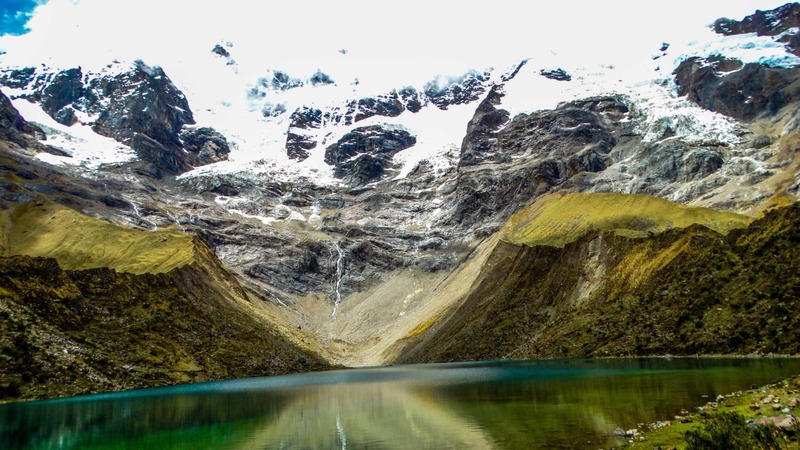 During Incas times, this mountain served as reference for the cardinal astrological observations. 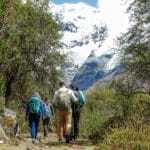 This guided tour I am proposing is the best alternative to the famous Inca Trail. 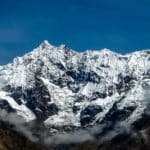 In addition, the Salkantay trek offers more amazing panoramic views, making it a unique experience. Of course I also offer the classical trail to Machu Picchu. You can check out this option, here. If you want to live this adventure to the fullest, it will be necessary to have a good fitness level since we must walk several hours per day. The best season to come is from May till October. At the bottom of this description you’ll find all the details about the itinerary and the prices. Remember that the total cost of the trip must be paid once your booking is confirmed. So, are you coming to Machu Picchu via the Salkantay Trail? Contact me now. Let’s do it together! We will get up at 5 AM and leave Cusco by bus in direction to to the Mollepata village. We’ll stop for 45 minutes and have breakfast in a restaurant if the group wants (not included). Then we’ll continue our ride uphill for 1 more hour until we reach Challacancha (the trailhead). There we will meet our support staff, who will pack the equipment on the horses and mules. We need to have 2 backpacks. One with your personal gear (5 kg max.) that will go on the horses. The other will be a daypack with just the necessary things and will be carried by you. From there we will hike for about 4 hours to Soraypampa. Finally, we will reach our campsite, where we have lunch. After lunch we will climb the Humantay Mountain to visit the Humantay Lake and we then descend back to camp at Soraypampa. Overnight stay there. An early start after a good breakfast. Today will be the longest and most difficult day. The hike is moderate at first till we get to Soyrococha. Then, we must hike uphill for 3 more hours in direction to a high pass at 4,800 m, very close to the wonderful peaks of Salkantay (6,271 m) and Humantay (6,100 m). Here we will enjoy the stunning scenery and descend for 1 hour to Wayracmachay (3,800 m) where we will have lunch and a rest. Then, we’ll walk 3 hours to our campsite in Collpapampa. Another early start after breakfast. On this part of the hike we walk on a narrow trail, discovering various types of orchids and plants. We will also get the chance to pass a waterfall on the path. Santa Teresa: we will take a bus to Santa Teresa town. That will take about 45 minutes. Upon arrival we’ll set up camp and have the opportunity to go to the hot springs nearby (Optional). In the evening we’ll have dinner and rest at camp. Llactapata ruins: if you want to see the Llactapata ruins, we must walk 2 hours to Aobamba, where we will camp for the night. If you chose to go via the Llactapata ruins, you’ll start the day with a 4 hour hike to the ruins (2,860 m) from where we can see both Machu Picchu and Salkantay Mountains! After a tour around the ruins, we’ll start descending for about 4 hours to Aobamba River. That trail brings us to the Hydroelectric Plant (Hidroelectrica, in Spanish), a place where we’ll have lunch and then continue along the trail to our hotel in Aguas Calientes town! 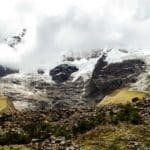 If you chose the Santa Teresa option, we will have breakfast and after a short bus trip (1 hour) we will hike for about 2 hours, crossing the Urubamba River and onward to the Hydro Electric Station, where we have lunch nearby. We will then continue to the town of Aguas Calientes crossing the bottom of the valley for about 3 hours along the train tracks until reaching the town. Once there we will spend the night in a hostal. We will have dinner and rest for our next big day in Machu Picchu. An early start to continue hiking to Machu Picchu and see the sunrise over this glorious old city! We will walk for about 2 hours to the ruins of Machu Picchu and have a full guided tour that takes about 2 hours. Afterwards you can take the bus to Aguas Calientes. You can have lunch there too (not included in the cost). In the afternoon, we will return by train to Ollantaytambo and transfer to Cusco. I'm a mountain guide, passionate traveller, and photogapher. I spend my free time and holidays exploring new destinations, discovering new mountains and cultures. I have more than 10 years of experience climbing mountains and doing expeditions in Peru. This experience prepared me to lead and guide challenging adventours. I like guiding people from all around the world, and help them to discover and enjoy the mountains, while reaching their goals. I work together with a team of guides in Cusco, so if I'm not available, one of my colleagues can guide you instead. very caring for our safety and enjoyment during the trek. Even though it was a hard physical effort we always felt safe and the views at the top we’re well worth it.